Leonie is a self-driven Associate who delights in the challenges of a fast-paced environment. 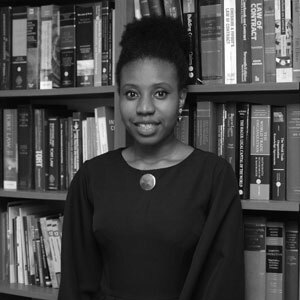 She is constantly developing a deep understanding of the dynamics of legal practice and an ability to efficiently attend to complex instructions. As a part of the Firm, she routinely represents the interest of clients in various courts and is often advising on intricate transactions. Her cheerful disposition, excellent communication skills, and positive attitude underscore her great personality. She takes a keen interest in ensuring best practices at all times and has a particular interest in Arbitration and Mediation. 2016: Admitted as a Barrister and Solicitor, Supreme Court of Nigeria. 2015: LL.B. (Hons) University of Lagos. 2016: B.L. (Hons) Nigerian Law School.